Contrary to the popular saying, there are actually three things that are certain in life: death, taxes, and the fact that every time a new Starbucks drink launches, the internet will collectively freak out. Take, for example, the Unicorn Frappucino. It may have 16 grams of fat and 59 grams of sugar, but Instagram be damned if our feeds weren't flooded with blue and pinks swirls and the signature green straw for weeks when it launched. Americans love Starbucks, but dare we say they love novelty, limited-edition Starbucks even more? But just as the unicorn-sipping frenzy has started to die down, there are two new drinks in town, and they come by way of—wait for it—Lady Gaga. The singer has teamed up with the beverage giant to create cool summer drinks for a good cause. It's called the Cups of Kindness collection and $0.25 of every purchase made from June 13 to June 19 will be donated to Lady Gaga's Born This Way Foundation and the Channel Kindness project. 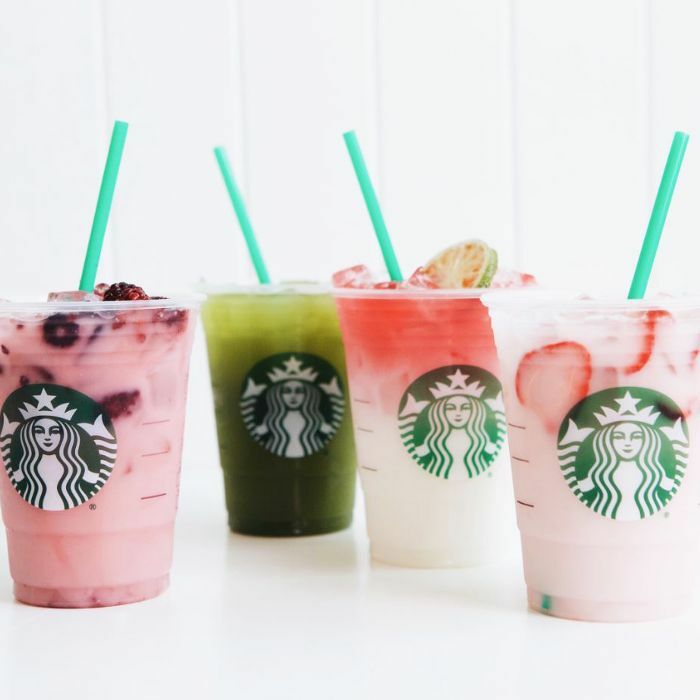 The four drinks include old favorites like Pink Drink and Ombré Pink Drink, as well as two new creations: Matcha Lemonade and Violet Drink (blackberries, tart hibiscus, and coconut milk). Because we're always beauty-minded, it's interesting to note that in addition to benefiting two amazing charities, the beverages actually benefit your body, too (sorry, unicorn frap). Each drink is nondairy and under 150 calories for a grande size, and Gaga's favorite drink of the collection, especially, the Matcha Lemonade, is teeming with immunity-boosting, metabolism-revving, skin-nourishing antioxidants. Leave it to Mother Monster to choose drinks that do a world of good through and through. Which flavor are you most excited to try? Sound off in the comments!